Progress on my Cobra book to be published by Haynes later this year, has been galloping along, and I have had the privilege and pleasure of meeting some amazing people, and of course cars. Here, you will come across loads of spin…the right kind of spin, not the kind that politicians sell you, but the sort that comes with high performance sports and racing cars. Way back in 2003 I attended the Ford Centennial in Detroit, it was like the whole country had come to town as there were Fords of every description for as far as the eye could see. Of course, when travelling to the USA you want to ensure that you have a full programme of events to cover so as not to waste your time there, but unfortunately I missed a phone call from my first appointment on the Monday morning, which meant that I had some free time. So what do you do when you are on your own in a strange land with time on your hands, well you go exploring, and so armed with a map of the city I headed out to the northern part of the city to visit the Motor Sport Museum. To cut a very long story short it looked deserted, but just as I turned back to my rental car, a voice called out behind me, and invited me to come in. 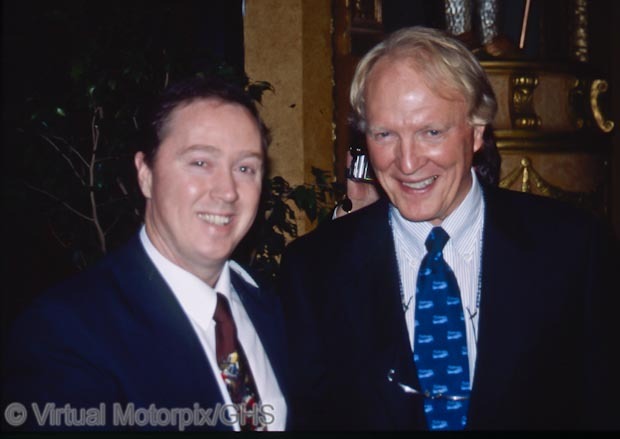 It turned out that they were preparing for the induction of the new members into the Motor Sport Hall of Fame for that year…and by the way would I like to come along the following evening as a guest! Would I indeed! Wild horses wouldn’t hold me back from that, with names like Dan Gurney and Bob Bondurant being included in that list. I had an absolute ball, chatted to all manner of interesting folk and had my mugshot taken umpteen times because the official photographer thought I was the splitting image of some dirt track rider from the 1930s, which of course I wasn’t. But what does this have to do with progress with my Cobra book? It’s simple really, because both Bondurant and Gurney were regular Cobra drivers with many wins between them. So when you are writing a book on the Cobra, who do you call for an interview? Well, Bondurant and Gurney of course, which is what I did last week and I had a great chat with both Bob and Dan. I could never have foreseen back in 2003 that twelve years later I would be calling them for an interview. 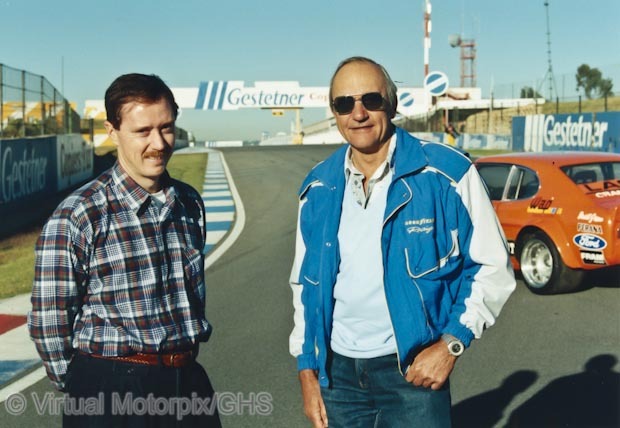 Further interviews followed with the likes of the man who designed the legendary Daytona Coupés, as well as one of the drivers who started with Shelby as a welder. 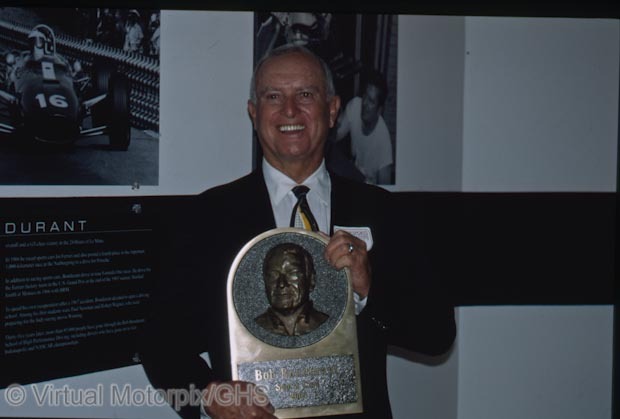 One driver I was privileged to meet while still living back in South Africa, was Bobby Olthoff. I went out to his house twice to interview him back in 1994/95, and I remember driving up to his house and parking, and when I got out of the car I saw a huge dark shape looming above me. Thoughts of being swallowed by some out of this world monster passed swiftly through my head, before I realised that the shape was indeed that of a huge aeroplane. Bobby lived on a farm, and sometimes when unscheduled flights could not land at Johannesburg’s Jan Smuts Airport (old name), they would be diverted to smaller outlying air strips, and Bobby’s was sometimes called into use for such purposes. The plane was a huge Russian transporter, as I eerily noticed once I had regained my composure. Bobby was an excellent interviewee, and we talked for hours, so some of those early chats will be found in the new book. The Cobra is without doubt the most copied car in the world. Originally there were just short of a thousand produced, but today this figure is more than 50,000 as fabricators produce models that range from ropey to excellent. But this in itself speaks volumes for both the simplicity and the exhilaration of this all-time favourite. To date I have been able to get up really close to several original Cobras, photographing them in detail, inside and out, and interviewing their current day owners. I had a good chat with Darren Turner, professional works racing driver with the Aston Martin GTE team, as he has pedalled a Cobra around Goodwood for the last two years, and it was very interesting hearing what he had to say. Many of these cars will have been seen in action at Goodwood or at Silverstone, and of course many other top tracks around the world. I trust that you will find out some new things about running, maintaining and racing a Cobra today. They were just so simple, and the design (both body and chassis) dates back to the early 1950s, but they remain an attraction today wherever they are found. 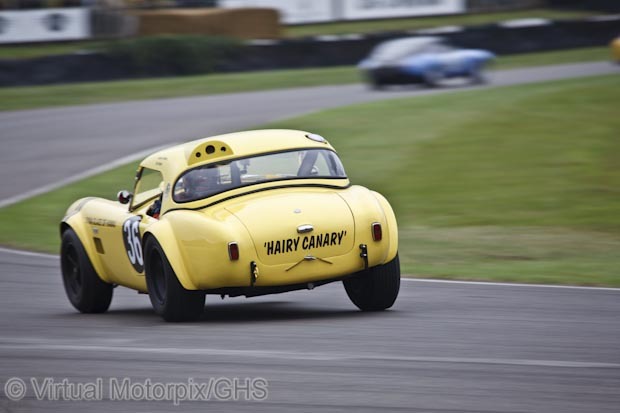 What is the best thing to happen to date…well I got to be driven in the yellow Hairy Canary the other evening, in its rawest form and fresh from a rebuild. The brute power, the sound from those exhausts that exit under the doors just below your ear, it’s not something I’ll forget for a long while. My most abiding thought was that you can but have oodles of admiration for the drivers who piloted these machines in period, because there is very little between you and the road, it’s just a thin piece of aluminium! A book giving in-depth information about the Cobra as well as the knowledgeable and experienced people, as only Glen Smale can write. It needs a lot of enthusiasm and energy to bring the publication to the finish!